Propositional Provability Logic was axiomatized in . This logic describes the behaviour of the arithmetical operator “y is provable”. 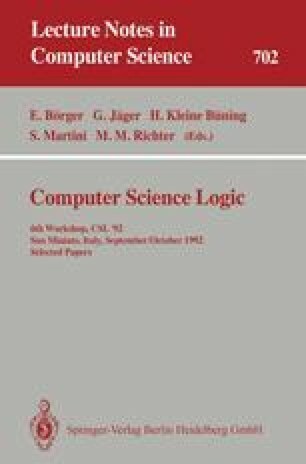 The aim of the current paper is to provide propositional axiomatizations of the predicate “x is a proof of y”by means of modal logic, with the intention of meeting some of the needs of computer science. Supported by the Swiss Nationalfonds (project 21-27878.89) during a stay at the University of Berne in January 1992. Financed by the Union Bank of Switzerland (UBS/SBG) and by the Swiss Nationalfonds (projects 21-27878.89 and 20-32705.91). The authors wish to thank the anonymous referee for his valuable suggestions.